The cyborg pumpkins have arrived! 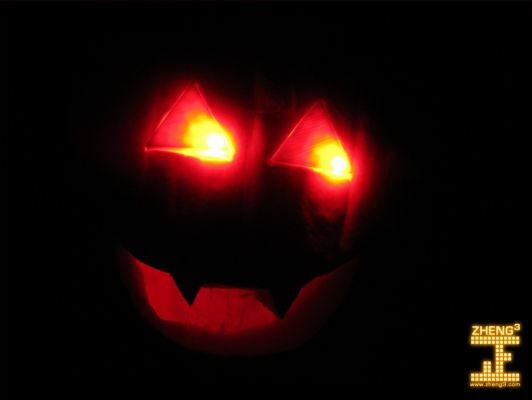 Stick this diffuser into your pumpkin's flesh and jam some 5mm LED's in one, some, or all of its seven sockets. Power up and have fun. This zip file includes Arduino code for a 14-LED animated eyeball display.